Our ZMA® capsules are a great addition to your daily diet, whether you’re looking to perform in the gym or on the pitch. ZMA® is a unique patented blend of zinc, magnesium, and vitamin B6, which are essential vitamins and minerals that play an important role in overall health and wellbeing. 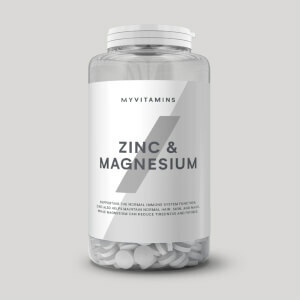 Each 2 capsule serving is packed with 7mg of vitamin B6, 300mg of magnesium, and 20mg of zinc — making our highly-bioavailable ZMA® the perfect daily supplement for active men and women. What are the benefits of ZMA®? 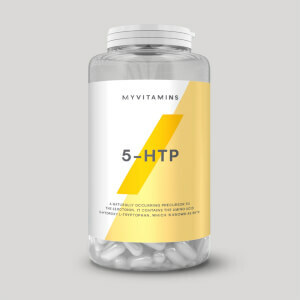 It’s a unique blend of three essential vitamins and minerals — zinc, magnesium, and vitamin B6 — that boosts your everyday wellbeing when training hard and dealing with the stresses and strains of an active lifestyle. Zinc also helps to maintain the condition of your hair,6 skin,8 and nails,7 keeping you looking and feeling your best, as well as sustaining and supporting your eyesight9 — important whatever your goal. 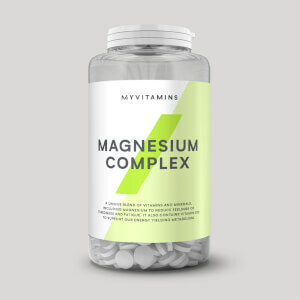 Magnesium is the fourth most abundant mineral in the human body, and it supports muscle function,10 electrolyte balance,11 and psychological function12 — helping you to stay on top of your game. Did you know? Magnesium also helps maintain healthy teeth13 and bones,14 making it a great addition to your routine to keep you healthy from the inside out. Vitamin B6, also known as pyridoxine, is one of eight vitamins in the B-complex that helps to keep your general health in check — from supporting the nervous system15 and your natural defences,16 to normal red blood cell formation17 — so that you can take on the day feeling your best. 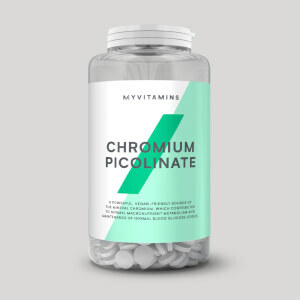 Anyone looking for a boost of zinc, magnesium, and vitamin B6 — it’s a convenient way to be confident that you’re getting important nutrients into your diet. What are the side effects of ZMA®? ZMA® is a unique combination of essential vitamins and minerals zinc, magnesium, and vitamin B6 — these are all found naturally in many foods you eat in your everyday diet. 2. Magnesium contributes to a reduction of tiredness and fatigue. 4. Zinc contributes to the normal function of the immune system. 5. Zinc contributes to normal macronutrient metabolism. 6. Zinc contributes to the maintenance of normal hair. 7. Zinc contributes to the maintenance of normal nails. 8. Zinc contributes to the maintenance of normal skin. 9. Zinc contributes to the maintenance of normal vision. 10. Magnesium contributes to normal muscle function. 11. Magnesium contributes to electrolyte balance. 12. Magnesium contributes to normal psychological function. 13. Magnesium contributes to the maintenance of normal teeth. 14. Magnesium contributes to the maintenance of normal bones. 15. Vitamin B6 contributes to normal functioning of the nervous system. 16. Vitamin B6 contributes to normal red blood cell formation. ZMA® contains specially measured amounts of zinc, magnesium, and vitamin B6 — specifically designed to help you achieve your goals. For an extra push, and a convenient way to up your daily protein intake, try with THE Whey, our highest-quality whey formula. Gives you a nice deep dreamy sleep and aids morning glory.. strange though that it used to say take 3 capsules and now says take 1? I’ve been a long term user of Amatryptaline which I was originally prescribed for pain but have now become dependent on to sleep (it’s a pain killer primarily but also a sedative.) Without taking 10mg of this at night it would take me 4-5 hours to go to sleep. I really wanted to get off it though and happened to get a bottle of ZMA as part of a weight loss kit with my protein. I use an app on my Apple Watch called AutoSleep. I wear the watch to bed and it tracks my heart rate and movement to establish several sleep parameters. These are, time asleep, quality of sleep, amount of deep sleep, and time it took to go to sleep. The following are average figures from my logs when I was taking amatriptaline: Results over 7 days: Sleep quality: 3-4.5 hours Deep sleep: 1.5-2.5 hours. Average heart rate: 10bpm lower than normal HR. Results over 7 days taking ZMA Sleep quality: 5-6.5 hours. Deep sleep: 2.5 to 3.5 hours. Average heart rate: 15bpm lower than normal HR. The results speak for themselves. This product works. It’s sstablished that ZMA can lead to nightmares with some people, and that seems to be reflected on the poor reviews, but I can say this was never the case for me. I normally wake up feeling groggy & really moody in the mornings. Normally when my alarm goes off I hit the snooze button, however since I've started taking this every night with "Alpha Men Multivitamin" I drift off fairly quickly & I wake up energised & alert! Im a train driver & sometimes im up at 3 in the morning getting ready for work, this product really helps with being alert and being able to concentrate first thing in the morning. I'd highly recommend it to anyone who is in the gym & works shifts!! if you workout a lot, this product is in particular for you. I have used this product couple weeks and all cramps have gone. Also I sleep much better and at the morning I'm more energized. I recommend this to everyone who have a lot exercises. I love these tablets, i received them as a free gift during an offer and have been purchasing them ever since. I generally have problems nodding off but with 2 of these im able to relax and get a good night sleep. In the morning i generally feel good, although sometimes i have felt even more lethargic but that could be due to anything. these pills are very easy to swallow. I feel like they have aided in recovery, also studies show this supplement help to keep test levels at a constant natural high in your body. Only issue i have is the morning wood, can be dangerous for loved ones in bed with you, bruised legs and what not. since having two of these a night, I fall asleep quickly! this is great I recommend to anyone who can't switch off at night. Great stuff, gets me in a deep sleep quickly, get a good nights sleep and I feel I got a loud of energy in the morning and can do what I need to do without feeling tired after a training session and feeling stronger, getting some good results and don't ache as much.